Nepal - a country of amazing extremes is divided into five major physiographic regions which run in more or less parallel bands from northwest to southeast. Each of these regions has a distinctive agricultural and forestry land utilization pattern. These regions are known as Terai, Siwaliks, Middle Mountains, High Mountains and High Himal from south to north direction. Nepal was once extensively covered by forests. Demand for fodder, overgrazing and uncontrolled cutting of timber and fuel wood, have significantly reduced the original forest cover. The composition of vegetation is closely related to the climate, which in turn is related to the physiographic region. There is not only a difference in vegetation from north to south, but also from east to west. The latter is caused by the decrease of monsoon rains in the western part and to some extent by the latitudinal differences between the eastern and western regions of Nepal. 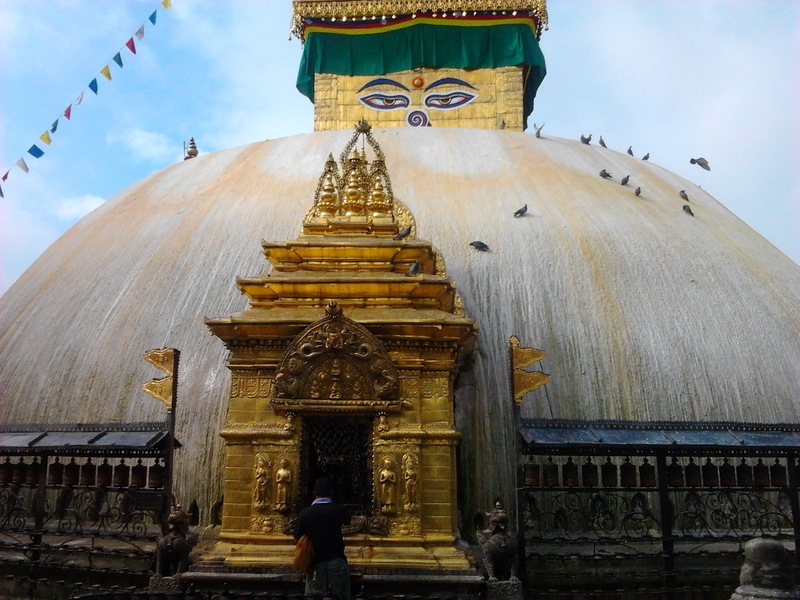 There are numerous exciting places to visit in Nepal. Due to its rich cultural diversity, art and architecture have flourished in various places in different ways. These wonderful arts and architectures of the ancient times which remain as cultural heritages nowadays are worth seeing. Nepal, being the country of the highest mountains and hills in the world offers excellent trekking and adventure facilities. Various places which lie on hill tops offer both trekking and historical study facilities. 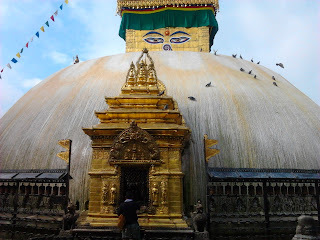 Below, Exotic-Nepal.Com has outlined the most interesting and culturally, geographically and historically rich places of Nepal which any tourist would want to see and relish. Bardia is a geographic region in the Kingdom of Nepal. Bardia comprises a portion of the Terai, or lowland hills and valleys of southern Nepal with a drier climate and a remote location, Bardia encompasses 1,000-sq-kms of riverine grassland and sal forests which adds to the joy of an adventure trip. To reach Bardia, take the daily air flight or public bus from Kathmandu to napalgunj, from where it is a five hour drive to the park office at Thakurdwara. The faunal diversity of the park includes 53 species of mammals including endangered mega herbivores like rhinoceros and elephant, more than 25 species of reptiles, over 400 species of birds, 121 species of fishes and unknown diversity of mollusks and arthropods. Bhaktapur is the home of traditional art and architecture, historical monuments and craft works, magnificent windows, pottery and weaving industries, excellent temples, beautiful ponds, rich local customs, culture, religion, festivals, musical mystic and About 16 km from Kathmandu. 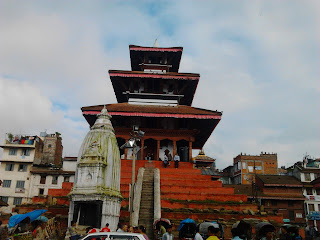 If you are not arriving as part of a tour group, you may take mini bus (bound for Kamal Binayak stop in Bhaktapur) or big bus (bound for Chyamasingha stop in Bhaktapur) from Bus Stop near Bhadrakali. 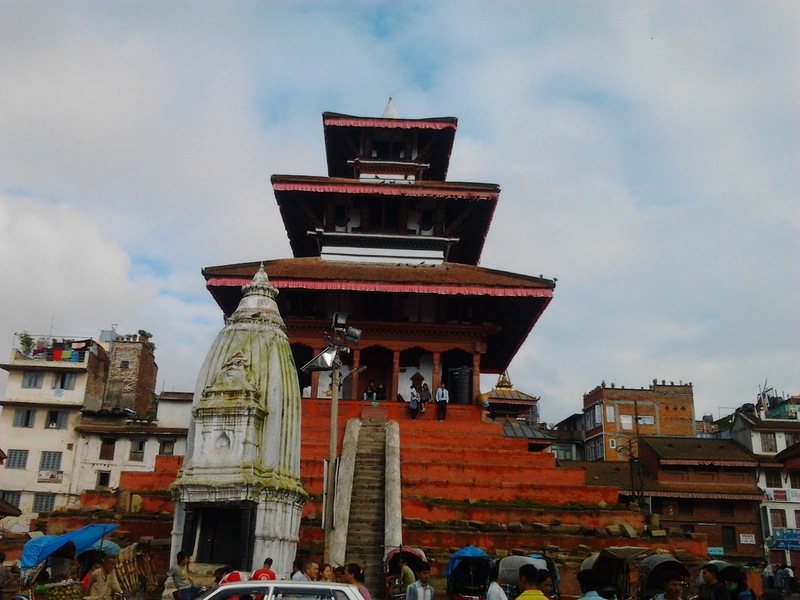 Bhaktapur is still an untouched as well as preserved ancient city, which in fact, is itself a world to explore for tourist. From time immemorial it lay on the trade route between Tibet/China and India. This position on the main caravan route made the town rich and prosperous. Chitwan is only 150m above the sea level. Bharatpur Airport, Bharatpur, Nepal is about 10 km away. By bus take the tourist bus from Kathmandu or Pokhara. From Kathmandu, Chitwan is about 4 hours. From Pokhara, it is around 6 hours. When you arrive in Chitwan (the village), you will need to take a horse cart or bicycle rickshaw (what the locals call a "taxi") the 7km into the tiny village that Sauraha. The area is located in the central climatic zone of the Himalayas, where monsoon starts in mid-June and eases off in late September. Chitwan is only 150m above the sea level. The place gets steamy from March-June, with peak temperatures reaching 43°C in the shade. Short grass makes Feb-May the best game-viewing season, but the autumn months are gorgeous, with Himalayan views, and in winter (December-January), Chitwan is pleasantly warmed compared to Kathmandu. The monsoon season (July-August) is intense. The wildlife and the landscape are not as breathtaking as those found in Africa but still, the experience will stand out. 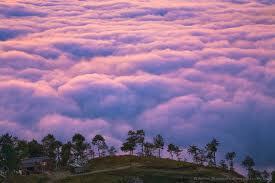 Dhulikhel is popular for viewing the sunrise and sunset. 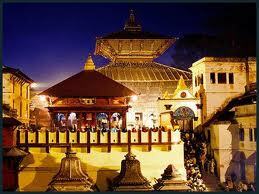 It is popular for its natural scenic beauty and Dhulikhel lies along the B.P Highway and Arniko Highway. Arniko Highway connects Kathmandu, Nepal's capital city with Tibet’s border town of Kodari. And in November and December the weather is normally very clear and tropical-hot during the days but chilly and even cold in the evenings and nights. 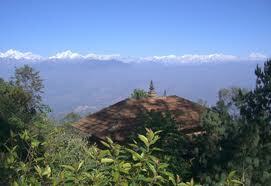 Dhulikhel is the administrative center of Kavrepalanchok District, Nepal. Drinking water in Dhulikhel is one of the best water in Nepal. The town has benefited for hundreds of years from being on the trade route between the Kathmandu Valley and Tibet. Dhulikhel once an important trade route between Tibet and Nepal has the old buildings, cobbled streets and ancient temples. 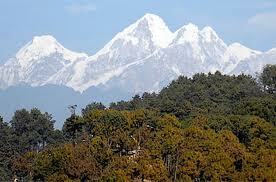 Dhulikhel offers the travelers the superb views of the snowcapped mountain ranges and many places for day hikes. Kathmandu is the general lack of street names (except for major roads such as Tri Devi and Ring Road) and address numbers. In most cases directions are given relative to the nearest chowk or tole or a noteworthy building such as a temple or restaurant. In the tourist district of Thamel, the Kathmandu Guest House and Hot Breads bakery are two main landmarks. Climatic conditions of Kathmandu vary to a large extent in view of several geographical factors. Five major climatic regions have been deciphered in Nepal, out of which Kathmandu valley falls under the Warm Temperate Zone where the climate is fairly pleasant, atypical of the region. Directions are given relative to the nearest chowk or tole (an intersection or square, often with a market) or a noteworthy building such as a temple or restaurant. In the tourist district of Thamel, the Kathmandu Guest House and Hot Breads bakery are two main landmarks. It is possible to get across the city by foot, but it is not always a pleasant walk and you may want to consider a rickshaw for anything more than wandering around a specific area. Rickshaws are bicycle driven; the motorized ones have been banned from the valley in a bid to check rising pollution. Lumbini, the birthplace of Lord Gautama Buddha is the most important pilgrimage site for the Buddhist and has also been one of the major attractions for people from other religions too. Lumbini, like the Buddha, stands peacefully and calm, away from the crowds of the cities, on the southern plains of the country, surrounded by forests. Lord Buddha is believed to have been born in Lumbini as Prince Siddhartha, when his mother Queen Mayadevi of Kapilbastu stopped to rest on her way to her parent's palace in a neighboring country some 2,600 years ago. People here also believe that she chose the place because of its peaceful setting. Although there are no cities or heavy population nearby, there are plans to develop the area, with gardens, trees, canal, accommodation facilities and even a library. Adequate lodging is available to the visitor and pilgrims, including a luxury hotel made by the Japanese. 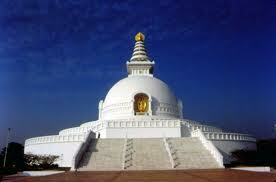 There are many places to visit like as Ashoka Pillar, Maya Devi Temple etc. The magnificent city is located west of Kathmandu and the climate is sub-tropical but due to the elevation the temperatures are moderate: the summer temperatures average between 25 - 35°C, in winter around 5 - 15°C..It is the third largest city after Kathmandu and Biratnagar. Pokhara has always been a favorite among tourists visiting Nepal, to get away from the hustle and bustle of the capital to a peaceful setting, to relax by the lake side or take a hiking trip around the valley, with routes available to suit everyone's needs and The valley is about 35 minutes abroad a plane, on about six daily flights available from Kathmandu or about 7 hours’ drive on a luxury bus. 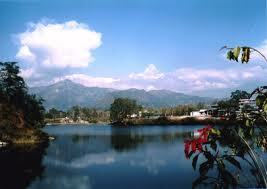 The city itself is divided into two zones - the lakeside and the bazaar area. As the jumping grounds for trekking, the stores around the lake carries all the necessary equipment needed for such trips, plus it is a good place to buy souvenirs to take back home. Nagarkot is renowned for its sunrise view of the Himalaya including Mount Everest as well as other snow-topped peaks of the Himalayan range of eastern Nepal. There are various places around the edge of the Kathmandu Valley that offer great mountain views, but the resort village of Nagarkot, 32km from Kathmandu, is generally held to be the best. Dedicated mountain watchers make their way up to the village, stay overnight in one of Nagarkot's lodges, then rise at dawn to see the sun appear over the Himalaya. Between October and March a trip to Nagarkot will nearly always be rewarded with a view, but you will be very lucky to catch more than a glimpse through the monsoon clouds between June and September. During the summer, sweaty valley residents escape the heat for the resort's cool mountain air; in winter they rush up if there's even a chance of being able to throw a tiny snowball. It can get very cold at Nagarkot in autumn and winter, so if you're staying overnight come prepared with warm clothing.